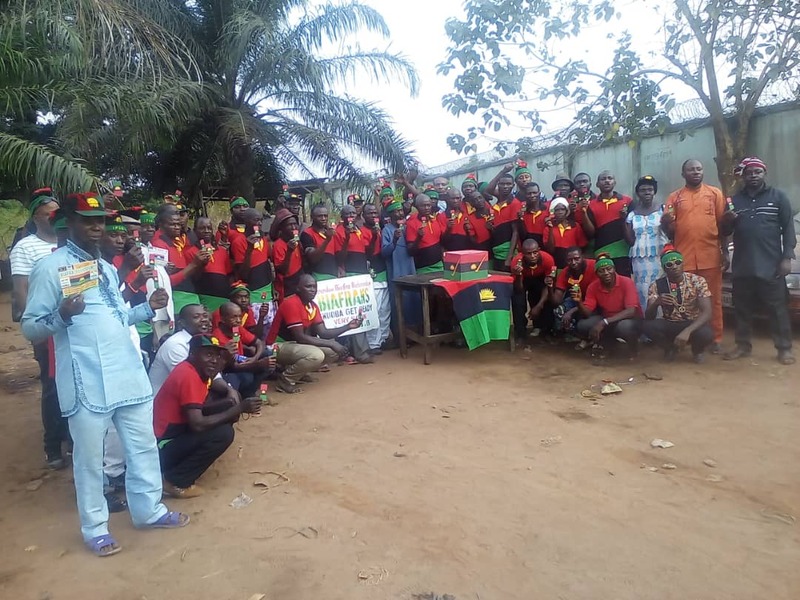 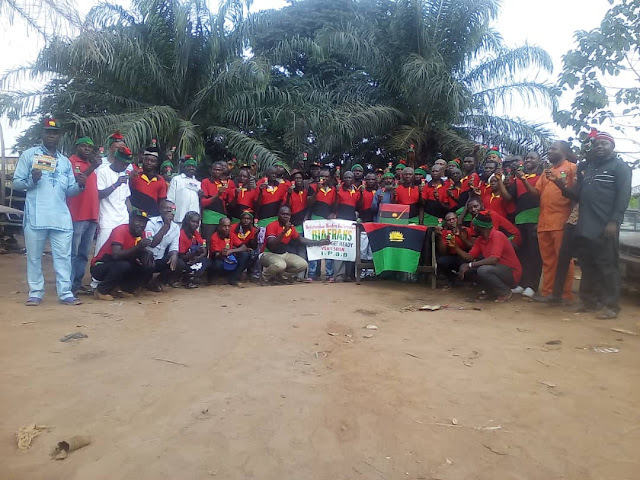 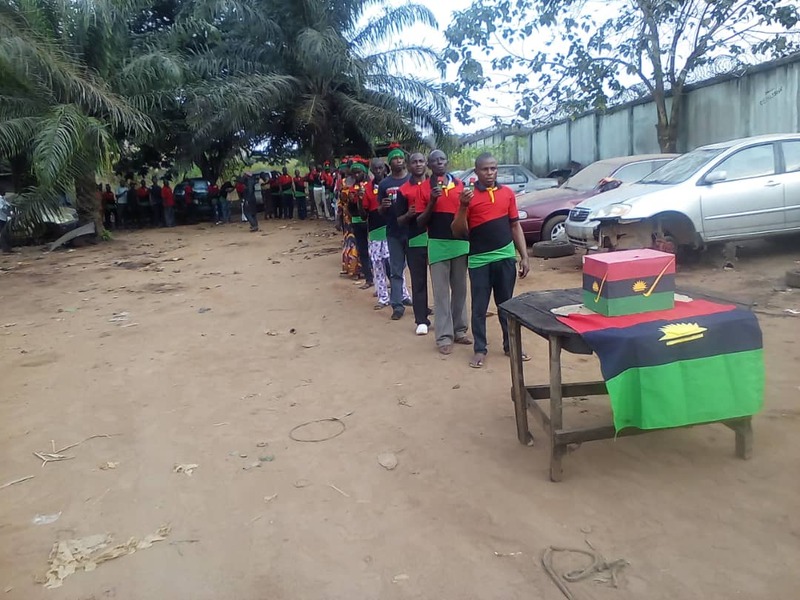 The IPOBs Family, Enugu West Senatorial District of Enugu State Biafra, had the general meeting / Mock Referendum today in Nsude Community 9th Mile, UDI LGA, Enugu State, Biafra Land. 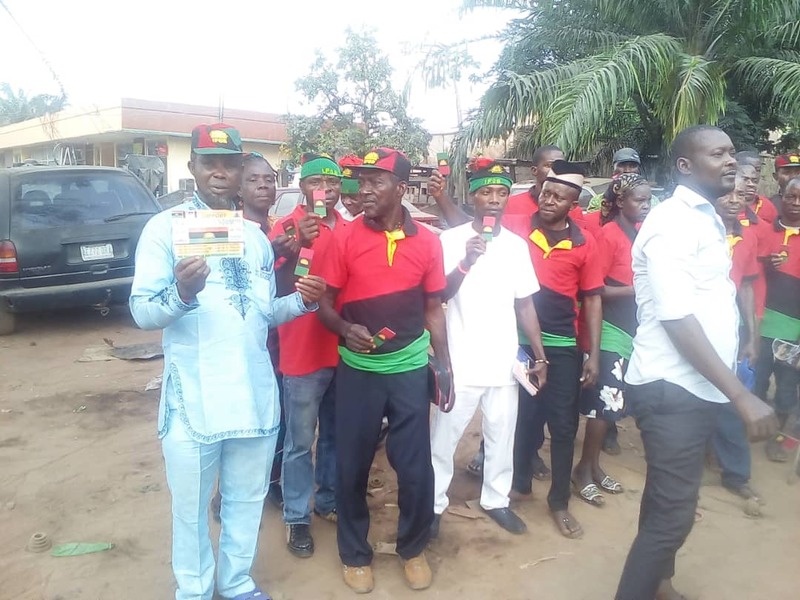 This event, brought a huge success in Enugu West, as it made available, a better opportunity for the above-mentioned community, to be sensitized through the massive evangelism. 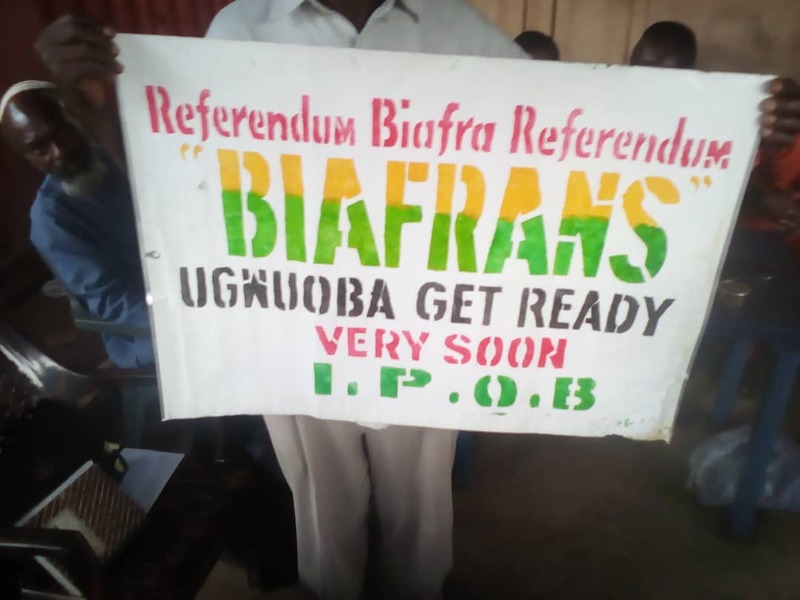 They all gathered to plan ahead, for the upcoming election boycott in Biafra land, as they wait for the Biafra restoration/referendum date. 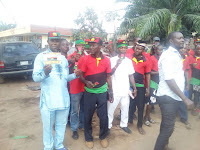 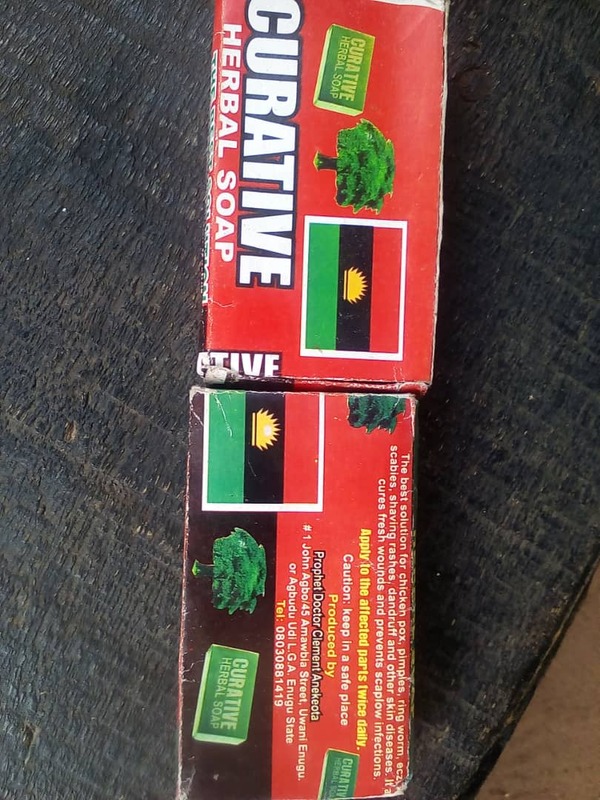 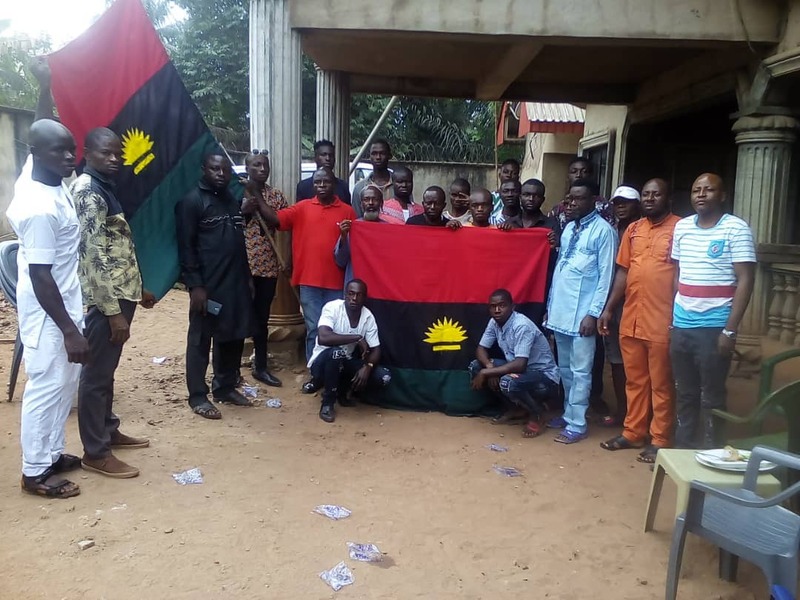 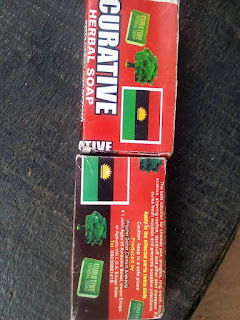 They also had a conference call on radio Biafra, to air their view, concerning the election boycott/ Ofe Okazi day.